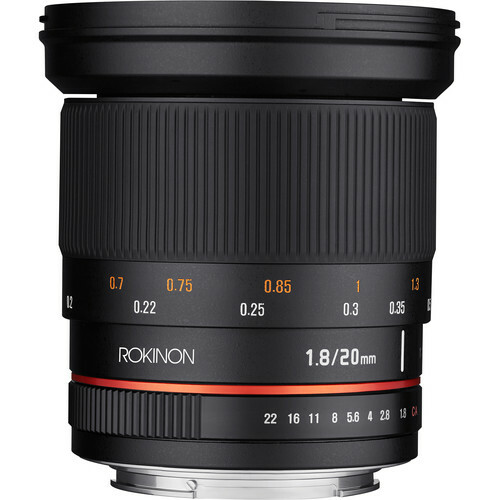 Designed for Sony Alpha , this 20mm f/1.8 ED AS UMC Lens from Rokinon is a bright wide-angle prime featuring an intuitive manual focus design and enhanced optical construction. 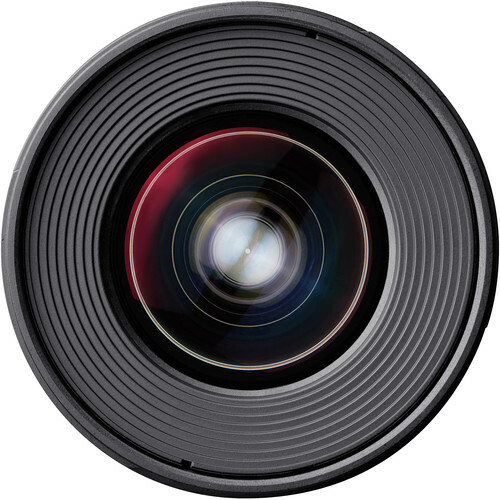 Two aspherical elements and three extra-low dispersion elements are used to reduce both spherical and chromatic aberrations for greater sharpness, clarity, and reduced distortion. The optics also feature an Ultra Multi-Coating to guard against lens flare and ghosting for increased contrast and color neutrality when working in strong lighting conditions. 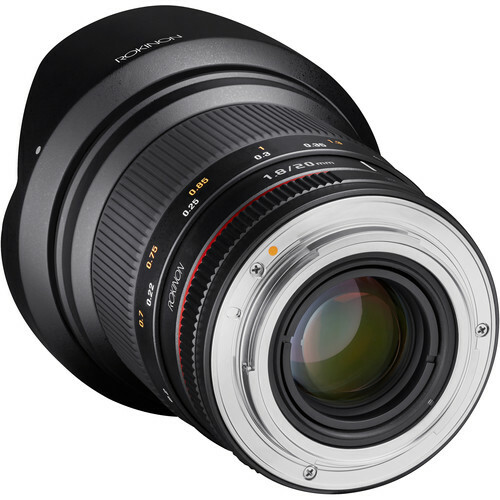 The manual focus operation affords working with subjects as close as 7.9" away, and a rounded seven-blade diaphragm contributes to a pleasing bokeh quality. 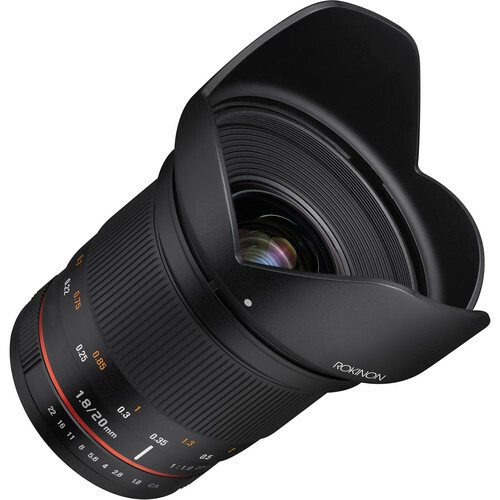 A wide-angle prime designed for full-frame Sony Alpha, this 20mm f/1.8 lens can also be used on APS-C models where it will provide a 30mm equivalent focal length. 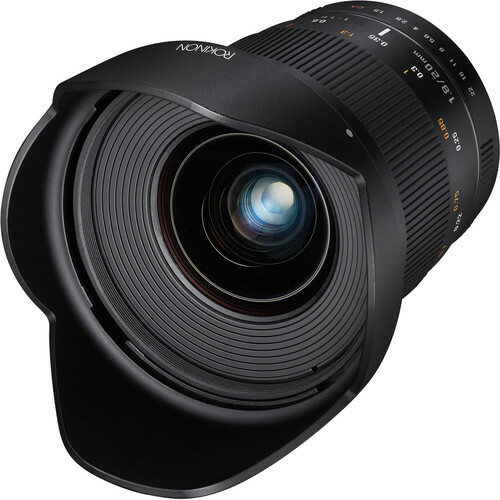 Bright f/1.8 maximum aperture benefits working in low-light conditions and also affords greater control over depth of field for selective focus control. Two aspherical elements are used to reduce spherical aberrations for increased sharpness and minimized distortion. Three extra-low dispersion elements help to control chromatic aberrations and color fringing for improved clarity and color fidelity. 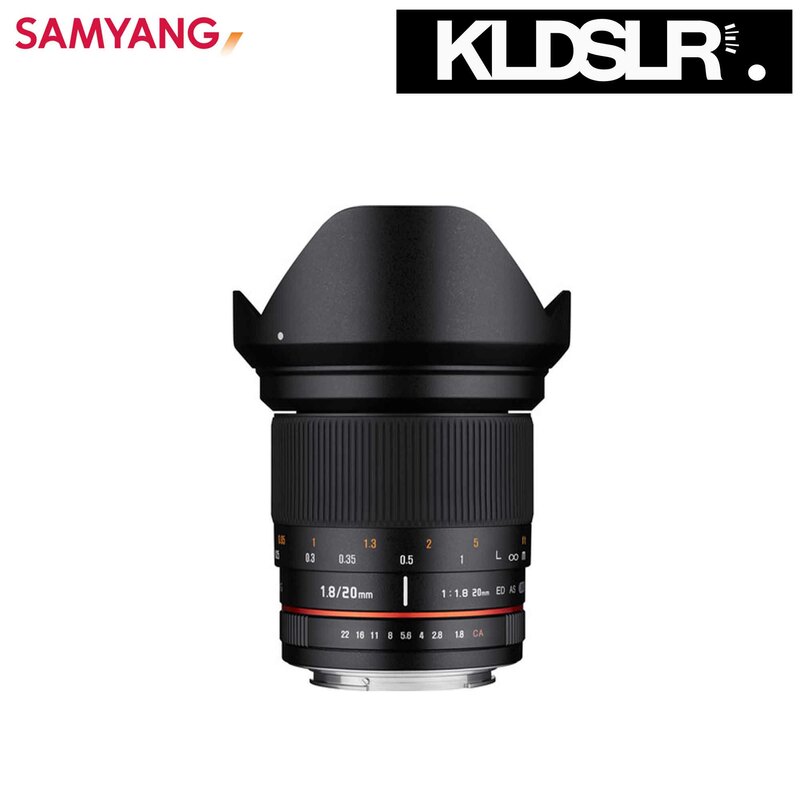 Manual focus operation allows for precise control with a minimum focusing distance of 7.9".